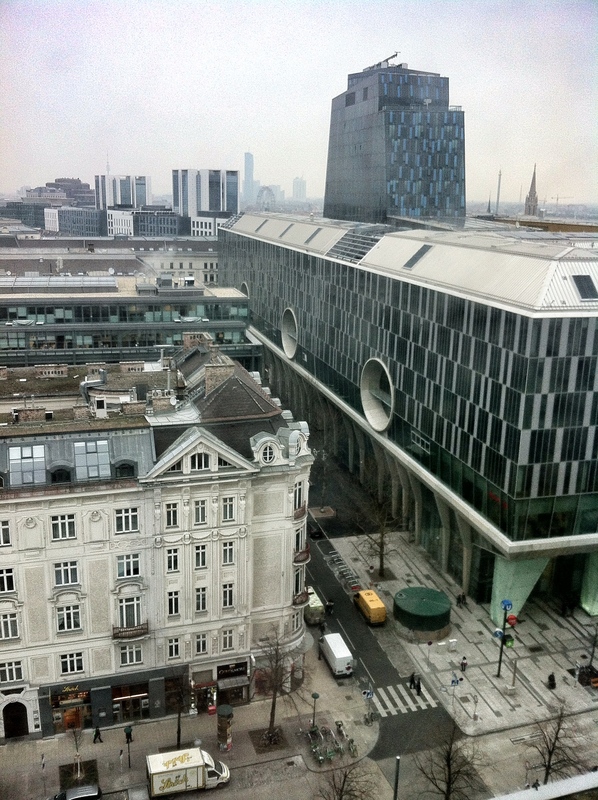 Good morning Vienna! Grüss Gott how pretty you are, old and new side by side. Bet everybody here eats Sacher torte for breakfast. I began my day with tea and coconut torte, and ended it with Sacher torte. Not kidding. This is Vienna, after all. Delicious chocolates, dances, and Strauss waltzes beckoned to me as I sped through the morning rush in the cab towards Am Stadtpark. Forty-eight hours in Vienna can be a life-changing adventure, but for me it had to be a meeting room and many, many powerpoint slides. Next time, city of chocolate and music – next time I am yours. Categories: Travel | Tags: Austria | Permalink.